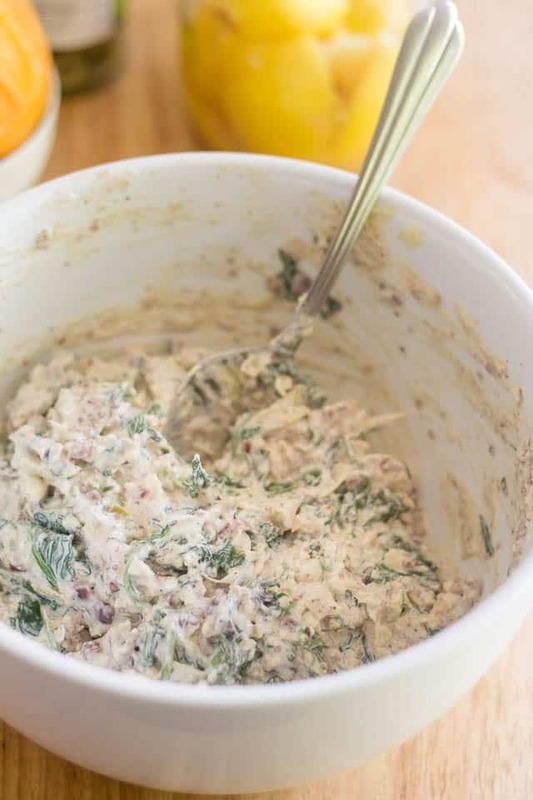 After I made Olive Tapenade for the very first time the other day, I got really inspired to turn it into a super tasty dip; one that would contain oodles of olives and almonds, of course, but that would also be loaded with tons of spinach and big chunks of artichoke hearts. Lucky for me, the PERFECT occasion to make such a dip presented itself to me very shortly after. Indeed, some of you may remember that my daughter has nearly given me a heart attack recently by telling me that I was soon going to be a grand-mother. Of course, to celebrate the occasion, we decided to throw her a little surprise party. Hey, no pregnancy would be complete without a surprise baby shower, now, would it? And well, no party would be complete without a huge platter of crudités and dip, me thinks! We were expecting about 30 people, so I made a fairly big batch. I wanted to be certain that we wouldn’t run out. But seriously tell me, is there even such a thing as too much dip? I don’t think so. In fact, I find there’s usually never enough at parties. 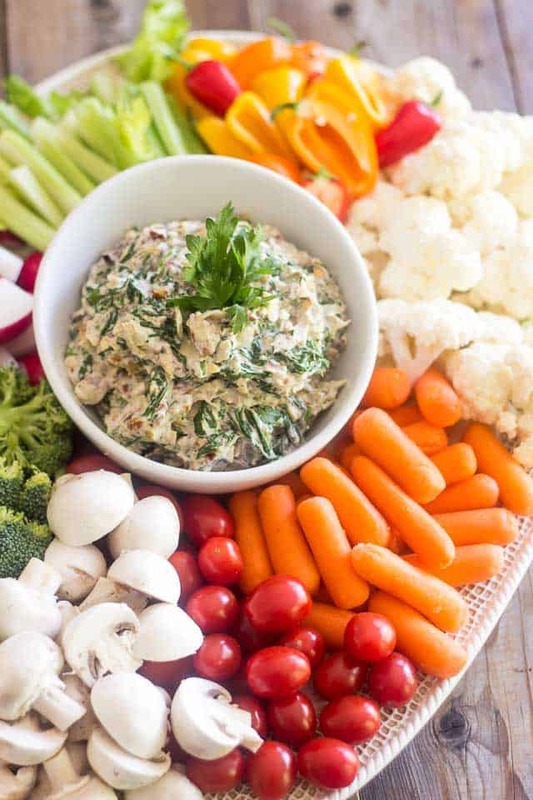 The poor crudités always end up being abandoned, left to dry out and die a terrible terrible death on their half-empty platters, as soon as the bowl of dip empties out. I wouldn’t be surprise in the least if that were to happen, though! ‘Cuz yeah, it really is that good! 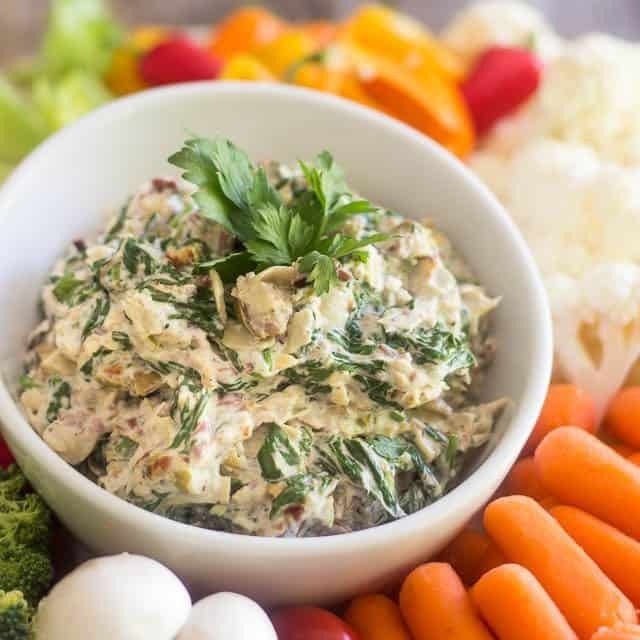 This Olive Artichoke and Spinach Dip will come together fairly quickly for you, but I find its a good idea to start by prepping all your ingredients first, especially the ones that will need to be cooked and allowed to cool for a little while. The spinach you’re gonna want to chop roughly and then place in a large microwave safe bowl. Cook it on high, uncovered, for about 4 minutes or until it’s completely wilted and then set it aside to cool. When it’s cool enough to be handled safely, squeeze it real hard with your hands to relieve it of as much water as you possibly can. 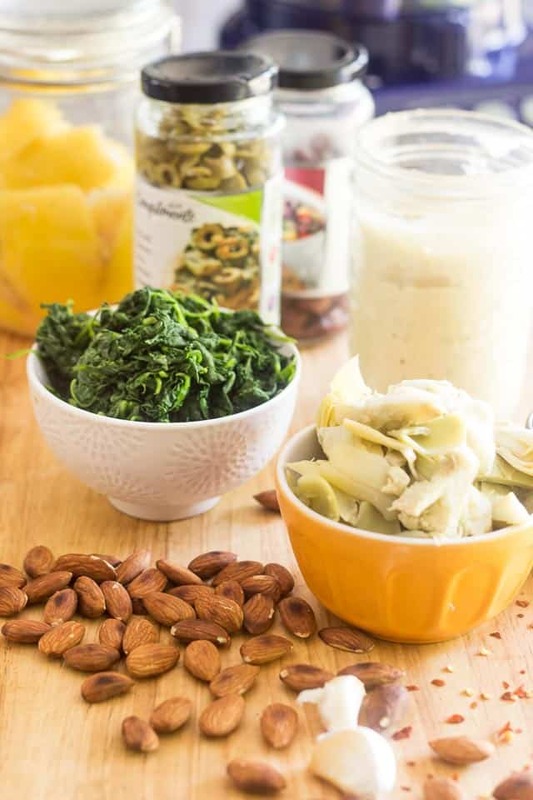 While your spinach is cooling, you can take care of toasting the almonds. 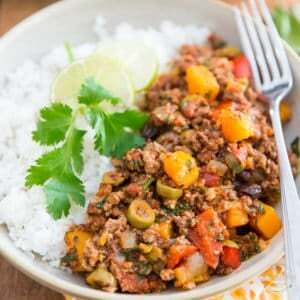 To do that, simply place them in a dry skillet set over medium heat and move them around in the pan until slightly colored and fragrant, about 3-5 minutes. Kill the heat and set them aside to cool until you can safely handle them with your bare hands. 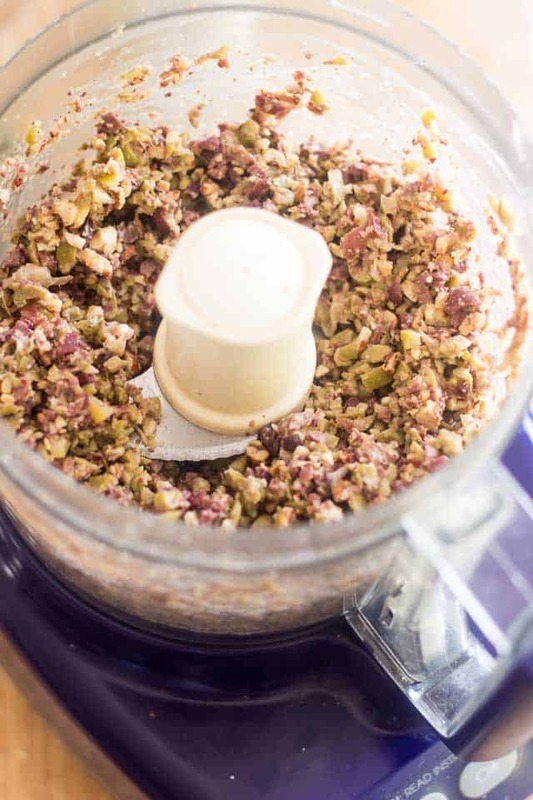 Once your almonds have had enough time to cool, place them in the bowl of your food processor and give them a few quick pulses just to chop them up roughly. 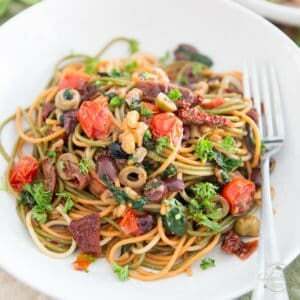 In go the green and black olives as well as the chopped preserved lemon. Now if you didn’t have preserved lemon, I suppose you could also use lemon zest. The yield of one fruit should suffice. Again, give this a few quick pulses, until all the ingredients are well combined and evenly chopped. Be careful not to overdo things here. Olives are very soft and will quickly turn to paste on you. Plus, we still have more goodies to throw in, so make sure to leave some decent sized chunks. Throw your canned artichokes right into that bowl and pulse 3 or 4 times, just to break them down a little bit. 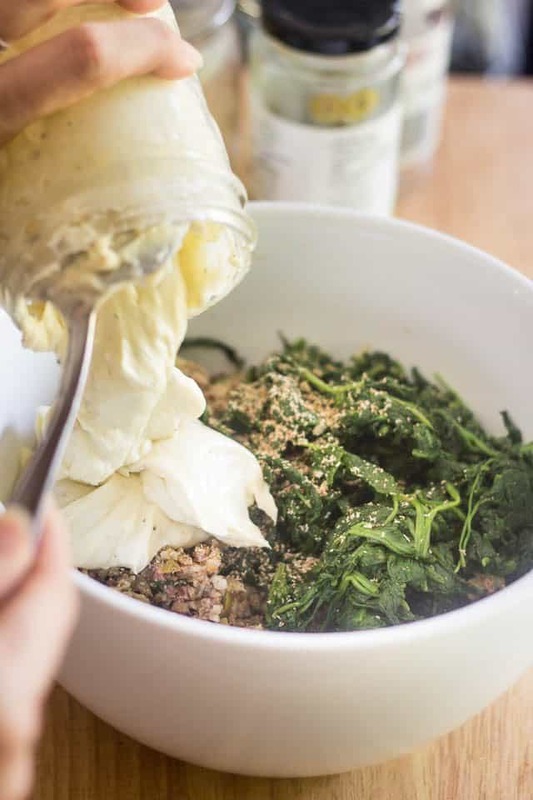 Transfer your olive / artichoke mixture to a large mixing bowl and add the spinach, mayo, minced garlic, pepper flakes, black pepper and nutmeg. Stir gently with a spoon, until well combined. You can serve this immediately but I strongly recommend refrigerating it for a couple of hours to allow the flavors to meld. You could even make it one or two days ahead if you wanted to: the dip only gets better as it matures. Oh, and if you did do dairy, I bet that a little bit of sharp cheddar thrown into the mix would simply take it over the top! 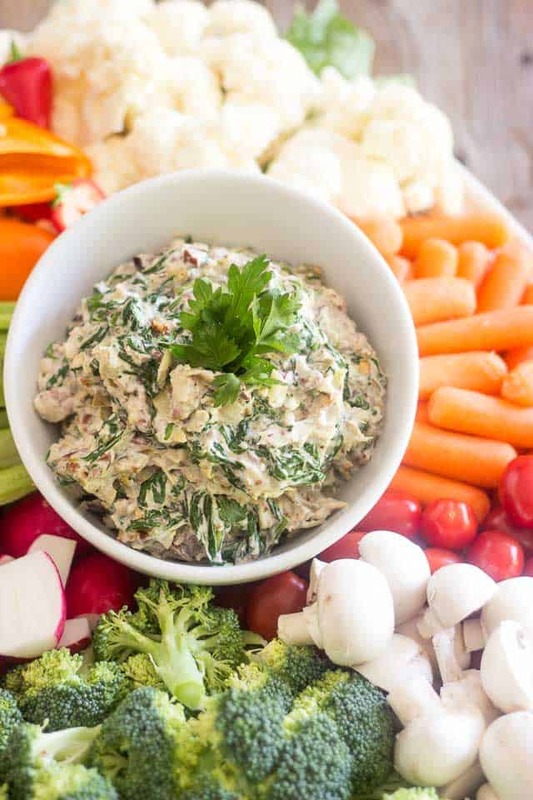 For the record, this dip obviously goes super good with crudités, but it also makes an absolutely delicious avocado pit hole filler. 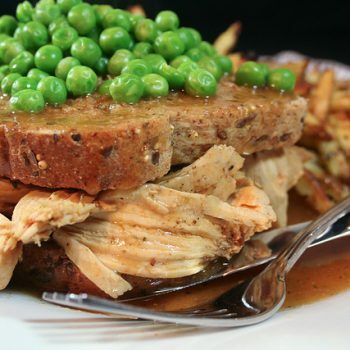 So if by miracle you end up with leftovers, here’s something you should definitely consider trying. 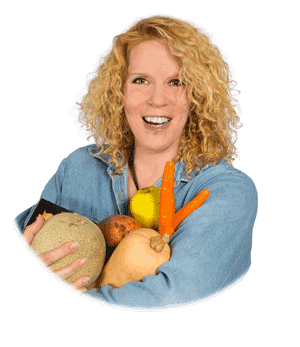 You might even want to put a tablespoon or two aside right from the get-go, just for that purpose! 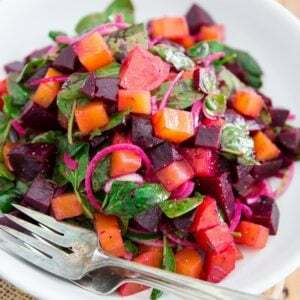 Chop the spinach roughly and then place it in a large microwave safe bowl. Cook on high, uncovered, for about 4 minutes or until completely wilted and then set aside to cool. When it’s cool enough to be handled, squeeze it with your hands to extract as much water as you can from it and set aside. 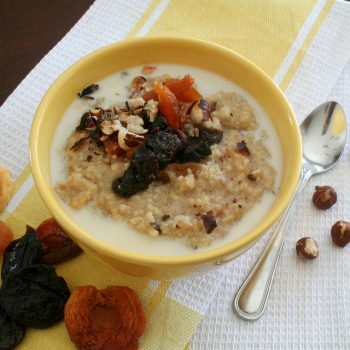 In a dry skillet set over medium heat, toast the almonds until slightly colored and fragrant, about 3-5 minutes. Kill the heat and set aside to cool until you can safely handle the nuts with your bare hands. 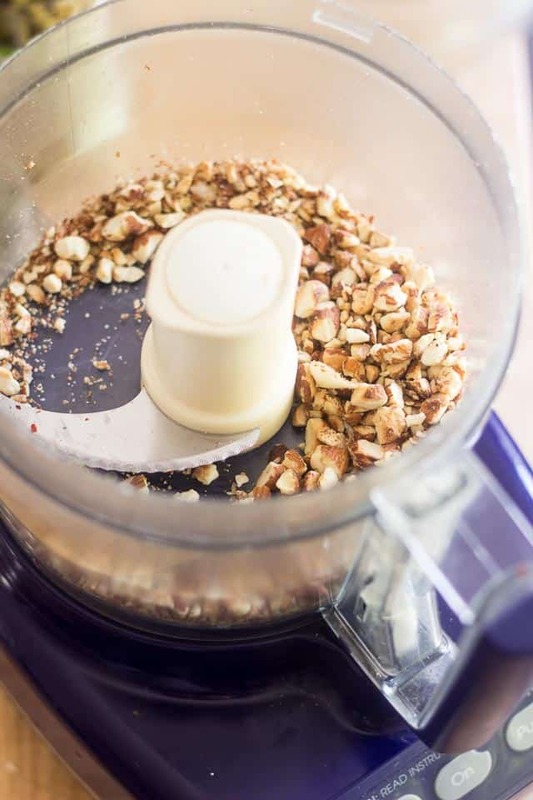 Put the toasted almonds in the bowl of your food processor and pulse a few quick times to chop them roughly. 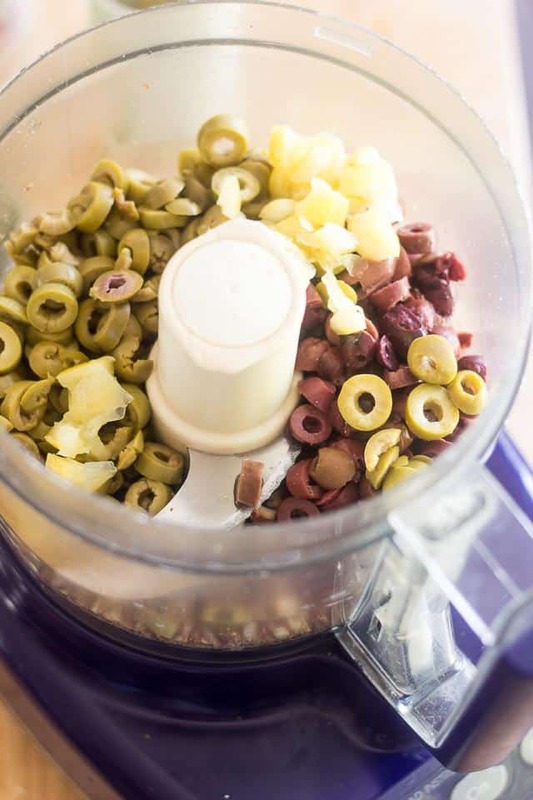 Add green and black olives as well as chopped preserved lemon and pulse a few times until all the ingredients are well combined and evenly chopped. 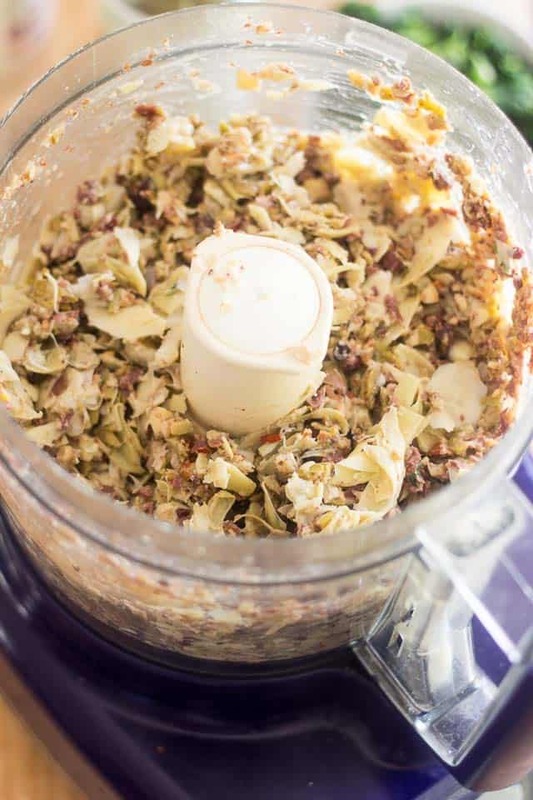 Add the canned artichokes and pulse 3 or 4 times, just to break them down a little bit. 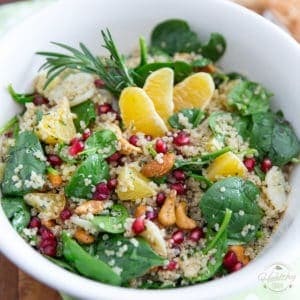 Transfer to a mixing bowl, add the spinach, mayo, minced garlic, pepper flakes, black pepper and nutmeg and stir gently with a spoon, until well combined. 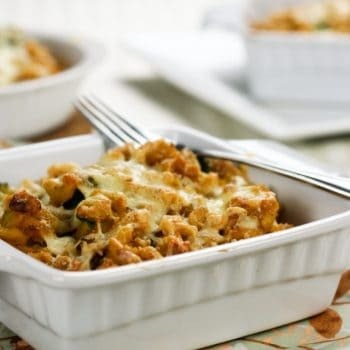 Serve immediately or refrigerate for a couple of hours to allow the flavors to meld. 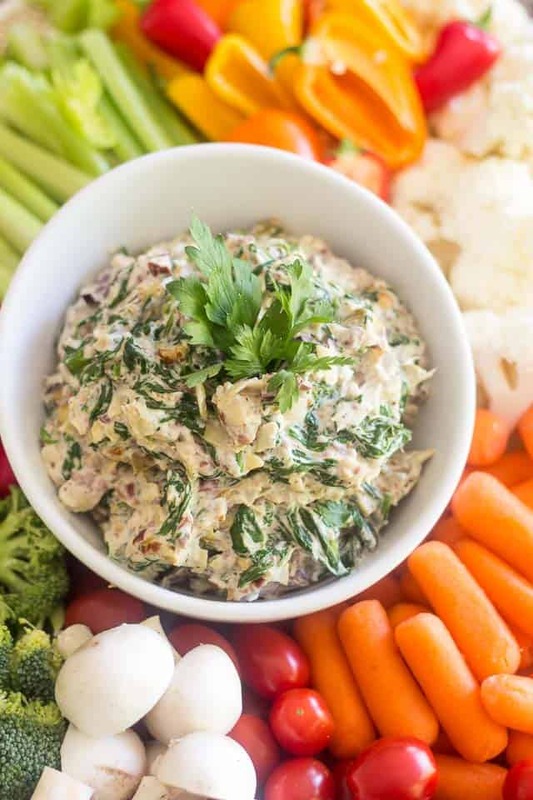 This dip will keep for up to a week in the refrigerator in an airtight container. I have never cooked or eaten artichokes before! 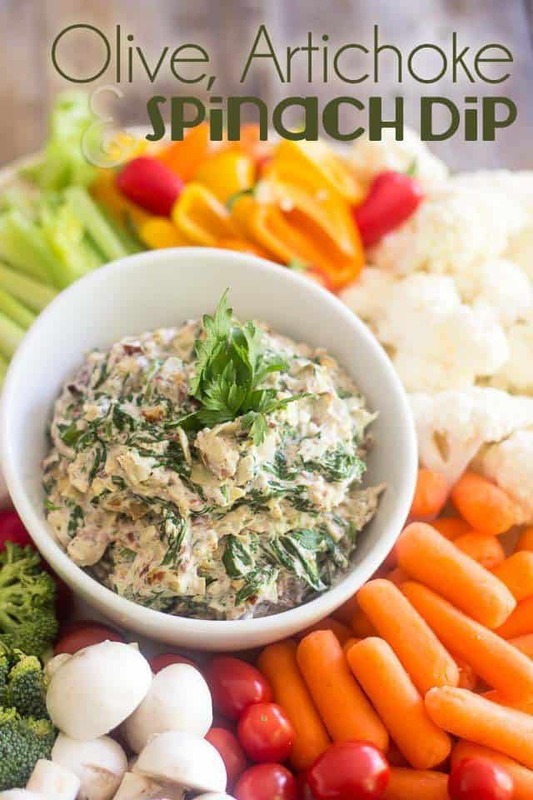 Think this delicious dip is the best recipe for me to try cooking and eating them. Thanks for the inspiration and yummy recipe. Oh, cooking artichoke is an entirely different animal, Thalia. 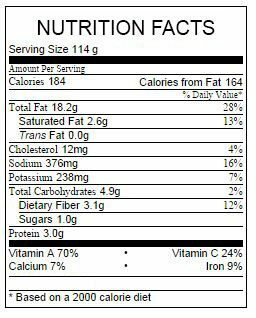 This is one ingredient that I still stick to in the canned variety… it’s much easier, not to mention quicker, that way! 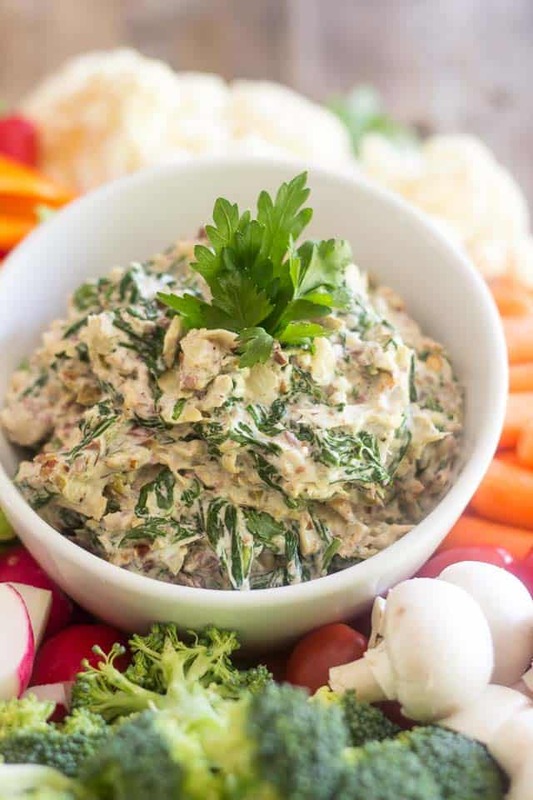 Mmm this looks divine Sonia, I am slightly obsessed with spinach and artichoke dip but never thought of adding olives, this would go so well with your rosemary crackers. Thanks for this recipe! Love, love, love this dip!! Does this recipe require water brined or marinated in oil artichokes? 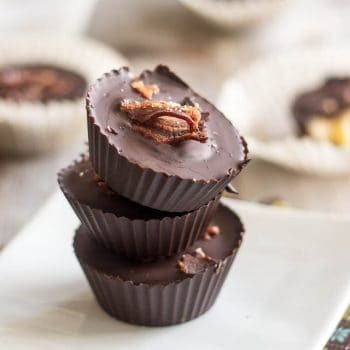 Curious which type you used for this recipe as it would affect the flavor profile quite a bit. Can’t wait to try this dip. Looks amazing. The recipe calls for the canned variety… but the marinated in oil would make for a completely different, yet equally delicious, experience!